As Chip and I prepare to spend the rest of our lives together (under one roof), the conversation of consolidation has been a hot topic with us lately. He has his stuff; I have my stuff and whether we live in a castle, cottage or condo, the one thing we’re guaranteed to do is fill it up with more “stuff”. Now, I’m willing to “merge & purge” but there’s one thing that our home just can’t be without and that a butler’s tray. 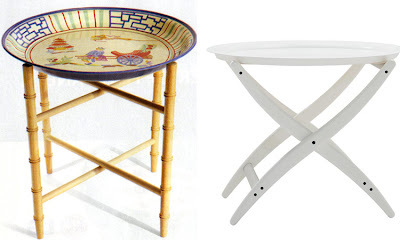 (l to r: Chromatic little side table, $179.00; Imperial tole tray and stand, $249.00, Wisteria). If you’re not familiar with a butler’s tray, let me tell you they’re great. A butler's tray often has a deeper surround, handles on the short sides to facilitate carrying and a portable stand with folding legs. It is used for the service of drinks and generally serves as a convenient side table. The two pictures at the top of this post are taken from Domino and Martha Stewart magazine. (l to r: used as a drink tray in Domino, used as a bed side table in Martha Stewart). 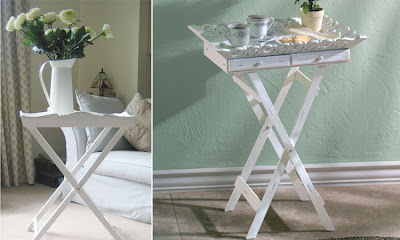 (l to r: White Butler's Tray, 25 pounds, The White Cottage company; Shabby chic tray table $34.95, Online Discount mart). When you live in New York City, rooms in your apartment are used for multiple purposes, so if you want to be able to salsa in the living-room, then it's fold-away furniture for you. Butler’s trays are very useful – the tray lifts off it's folding base for carrying food or removing plates, and they double as drinks trays or serving sideboards. 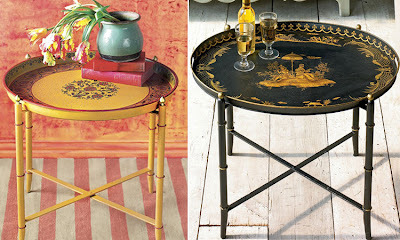 (l to r: Oscar de la Renta tray, $145.00, Stand $170.00, Saks; Formosa tray table, $39.95, Cb2). 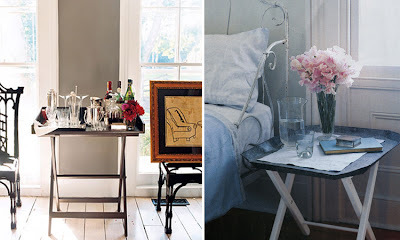 A functional butler’s table should be durable, stylish and beautiful. With convenient removable tops, the tray table encompasses the idea of serving in style. You can use it to serve wine or coffee, or a bed tray table for breakfast. Here you'll find a great selection of my favorite butler's trays , it’s just a shame Jeeves isn’t included! 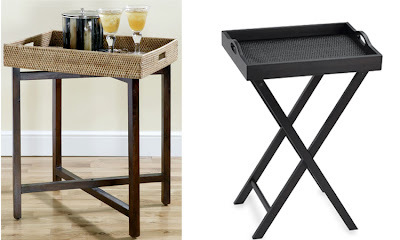 (l to r: Folding rattan tray, $59.95, Z gallerie; Portable butler tray with stand, $19.99, Bed Bath and Beyond). 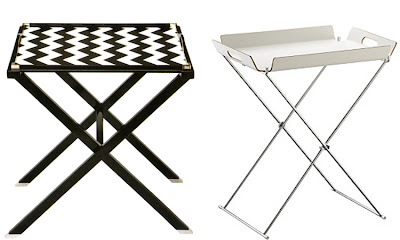 (l to r: Meurice butler tray table, $565.00, Jonathan Adler; Croco Butlers tray $59. 95, Z gallerie). (l to r: Butler's tray, Home, James!, $235.00, (631) 329-8878; Summa tray table, $398.00, DWR). On a warm summer night when you're dining al fresco. Butler's tray are the ideal table for the garden or deck. Tray doubles as a table top, so load up in the kitchen, carry it into your garden and set it on the base. You can also mix and match. Oversize serving trays are common at flea markets. And the folding stands used in restaurants and hotels aren't hard to find either. Why not bring them together? Here a couple of matches made in heaven. 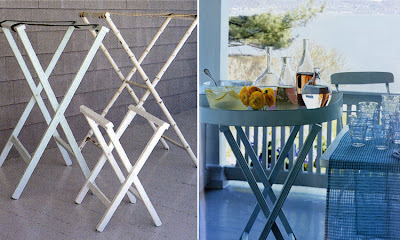 (above: folding stands and serving trays occasionally turn up a flea markets and tag sales. With a fresh coat of paint, they'll stylishly keep cocktails, canapes and more at hand. Martha Stewart). 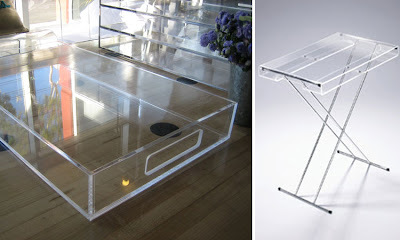 (l to r: Lucite stackable tray, $89.00, a.r.t.c store; loop tray table, $145.00, San Francisco MoMA). 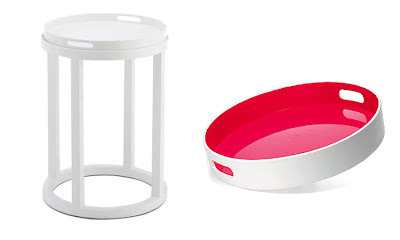 (l to r: White foley tray top table, $395.00, William Sonoma Home; Isaac Mizrahi tray, $19.99, Target). So many great choices! 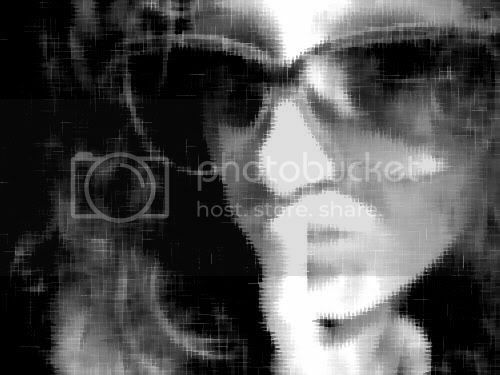 I like the Oscar, the lucite, the WS, the Maurice.....too many to go on! Hello where can I buy one of these tables? I realy like the: Croco Butlers,Folding rattan tray and the Portable butler tray with stand but i can´t find where to buy any of them. 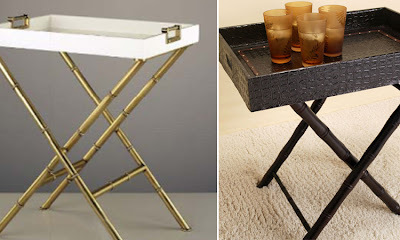 I have been on the hunt for a butlers tray to set up a little bar in my nyc apartment, and I LOVE the one at the top of the post on the left. You say it is in Domino? How do I find it? I love the side folds down... I'm smitten and I would really love some help tracking down this gem!!! That glass table is super nice.